Then join Carried Away: The Big Bag of Luck Giveaway, March 13-23rd, 2009, sponsored by my terrific teammates at etsy’s Carried Away Bag Team. For details, keep an eye on the team blog — http://carriedawaybagteam.blogspot.com — or come back here March 13. 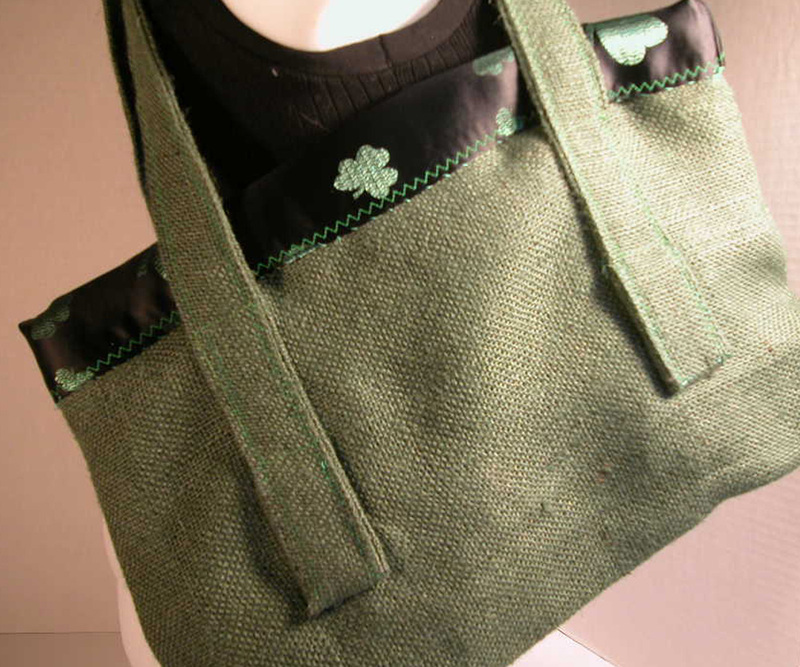 Meanwhile, here’s a preview of one of my giveaways — the Shamrock Reversible Shopping Tote! 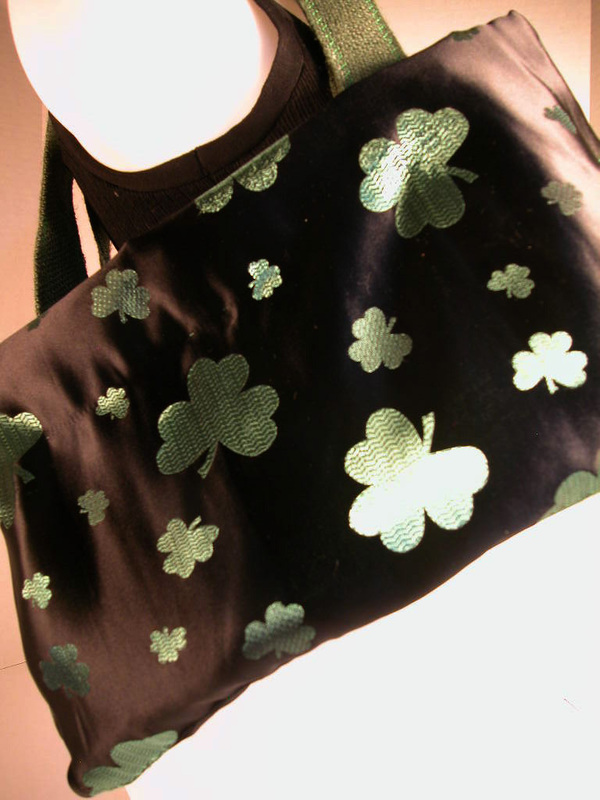 This is the “lucky” side, a riot of shiny shamrocks!! And this is sturdy side — good old industrial-strength burlap, with a few shamrocks peeking over the edge — just for luck, naturally! Eat your heart out, Kate Spade! !